Climategate to be judicially considered? If this goes the distance, it will certainly be worth following very closely. 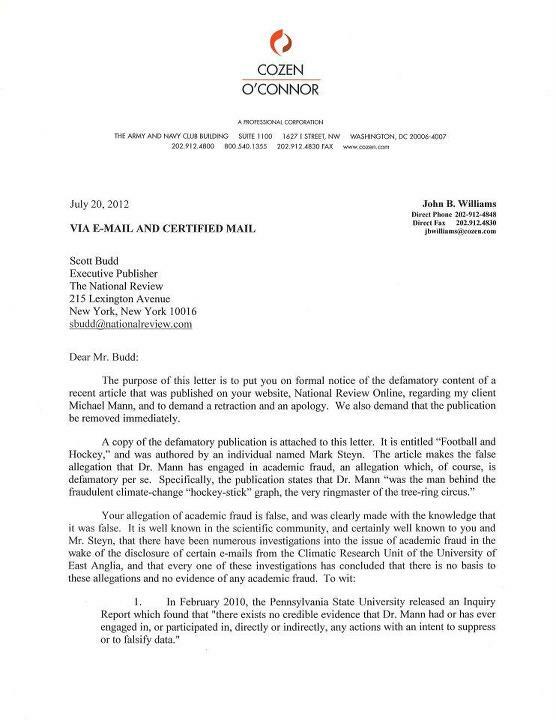 Mark Steyn, writing at the National Review (backup WebCite link here), made a number of comments about Michael Mann regarding the Hockey Stick, and Mann has responded with a three-page lawyers’ letter threatening defamation proceedings (see here: page 1, page 2, page 3 – originally published on Mann’s Facebook page, reproduced here for ease of reference). 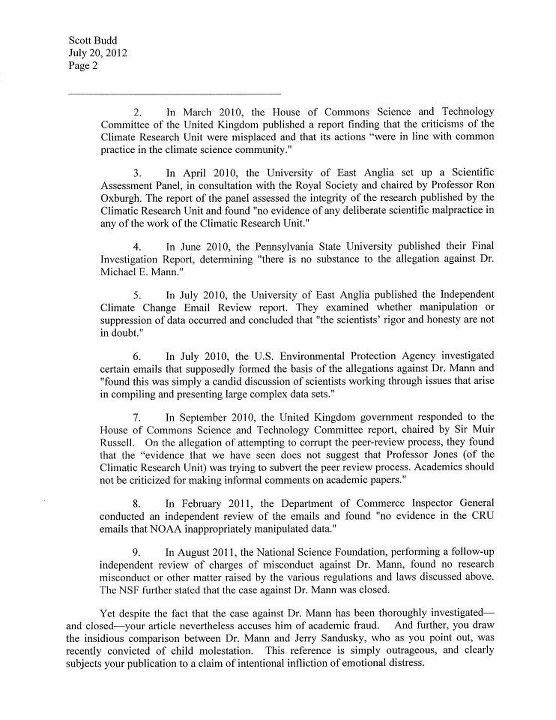 The interesting point here is that much of the letter focusses on the various investigations into Climategate as evidence that there was no wrongdoing, which inevitably means that if this matter were ever to reach court, not only would the investigations come under close scrutiny, but also the Climategate emails themselves. 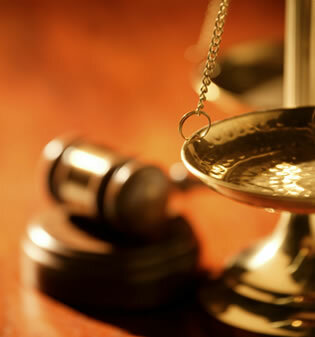 This would therefore be the first opportunity for an examination of the materials in a proper judicial environment. Andrew Montford’s report (at the UK GWPF – PDF) into four of those investigations found that to a greater or lesser degree, they were “rushed, cursory and largely unpersuasive”. The other three inquiries cited (by the US Environmental Protection Agency, Department of Commerce and National Science Foundation) all reached similar conclusions. How rigorously were those inquiries carried out? At this stage, we don’t know. But it’s hardly confidence inspiring. 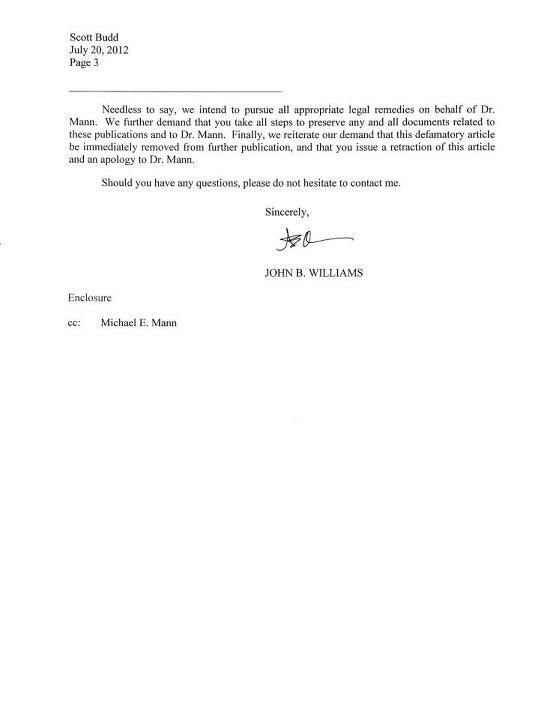 Perhaps the only way we will ever see allegations properly tested will be in front of a court of law, which may, thanks to Mann’s threat, actually happen. I wonder if this has been fully thought through? Commentators are raising the point that a requirement to produce documents arising from legal proceedings would be far harder to avoid than simple FOI requests, and the disclosure obligations would mean that many more documents may become public as a result. It may also confirm some of the suspicions raised in Montford’s report, namely that the inquiries were superficial at best.